Among the work much debated by Anglo-American historians in recent years, some of the most unlikely is certainly that of the sociologist Robert Putnam. At first glance it has little historical substance, and little to offer either in its methods or it insights. Yet it reveals much about American thinking about history and about America itself. Putnam is one of the key modern commentators in modern America on social capital and civil society. Some of his concepts – one thinks immediately of Social Capital itself – were also developed by Pierre Bourdieu. Yet while Bourdieu articulated them to a considerable level of abstraction, Putnam remains a very determined empiricist in the Anglo-American intellectual tradition, and builds his work on a formidable array of surveys, polls, and statistical measures. Yet he also uses history, and in one of his studies, Making Democracy Work (1993), Putnam seeks to identify the most “successful” regions in modern Italy, and the historical causes for their success. The book has been much debated by Anglo-American historians of Renaissance Florence and Venice, reflecting both the orientation of modern English-language Renaissance historiography, and Putnam’s own emphasis on those two city states. Apart from other methodological problems in the work, this emphasis obscures a deeper flaw in Putnam’s historical analysis: for the regions he judges most ‘successful’ in modern Italy are not in fact Florence and Venice, but Emilia Romagna and Umbria, both parts of the former Papal State. This is simply one paradox at the heart of the study, but it highlights a larger problem. Even when he focuses on another country – eg., Italy in Making Democracy Work – Putnam implicitly addresses what Americans like to think of as their project of building democracy. His analysis works implicitly with an American model as the standard of reference – it is teleological and functional. Similarly, much of the critical discussion surrounding his work has been introspectively American. A later book, Bowling Alone (2000), which has as its subtitle, “America’s Declining Social Capital” triggered enough alarm in the US that it generated conferences at the White House and many universities, academic books, and articles in the popular press. Yet few of these reviews examined the state of civil society or social capital in other Western democracies. We are dealing again with the legacy of American Exceptionalism. Americans’ first concern has been the possible loss of their own Social Capital and Civil Society, but even for this exceptionally isolationist people, the triggers for and the implications of this concern has been global. Making Democracy Work came out 4 years after collapse of the Eastern Block, and clearly had an eye aimed in that direction. Diagnoses of the economic and political failures in Russia and its former republics now routinely cite their lack of social capital and civil society. The diagnosis has become more acute in the violence and bloodshed of Afghanistan and Iraq. George W. Bush early on identified Middle East freedom and democracy as key reasons for America’s mission to Iraq. In the continuing violence, commentators have cited Iraq’s lack of civil society and social capital as reasons for the failure of peace, freedom, and democracy to take root. In both cases, conservative American commentators had expected that when totalitarian dictatorship fell, these societies would naturally develop on American lines and models, and there has been some perplexity over their failure to do so. Both the expectation and the perplexity have betrayed a widespread conviction that their own society offered the best model for others. The failure of these others to follow the American model has increased the urgency of those who fear that America itself may be loosing those characteristics – chiefly social capital and civil society – which allowed it to succeed politically and economically. I do not wish to get into a discussion of American foreign policy here, but it seems to me that we cannot avoid bringing American dreams, definitions, and ideologies into a discussion of Putnam’s ideas of civil society and social capital, since they have been the standard against which Putnam has measured (and described) the success or failure of societies. In particular, we need to probe how the societies he holds up as models have truly functioned, and to ask whether civil society and social capital are best generated in democracies of the kind he assumes. This in turn leads to exploring the boundaries between civil and uncivil society, and to looking at how social capital may be generated not in one or the other, but precisely through their agitated rubbing together. This paper will briefly recapitulate some of Putnam’s main points and review his methology before moving to a discussion of how he uses or misuses history. It will ask whether the dynamics peculiar to the leading communes of the Papal State may have generated forms of social capital and civil society better adapted to ‘surviving’ absolutism than Florentine and Venetian republicanism were. The two key points to consider are civil society & social capital. Civil society represents a civic community marked by active public-spirited citizenry, egalitarian political relations, social fabric of trust and co-operation, and a range of vibrant institutions and associations breeding habits of co-operation. Social capital represents the features of social organization, such as trust, norms, and networks, that can improve the efficiency of society by facilitating co-ordinated actions between individuals and groups. It is, then an internalized discipline or orientation that people exercise freely, and not under legal compulsion. To the extent that it facilitates collaboration and co-operation, it reduces the need for physical capital investments, and so is more efficient and productive. There are some key collateral elements. Moral resources are critical to generating social capital, since they increase with use and decrease without use. The more we exercise and experience trust, collaboration, and mutual aid, the more these are generated in a kind of virtuous circle. Key terms here include: ‘Trust’ (an essential primary component that lubricates co-operation); ‘Norms of reciprocity’ (the implicit acceptance that you help me as I help you); and ‘Networks of civic engagement’ (vertical or horizontal, formal or informal). Vertical networks are like classic patron/client relations. They do not foster trust and co-operation, and can undermine horizontal networks (often deliberately so, since the patron wants to ensure that the client relies on him or her rather than on peers). Horizontal networks, on the other hand, connect peers in voluntary ties of mutual obligation. Formal networks are built around legal obligations and blood kinship; they may fill in the gap where free or internalized discipline doesn’t exist. But informal networks (weak ties of acquaintance like shared membership in an organization or friendship) suggest a greater pool of social capital. When measuring social capital, the weak ties of acquaintance are a more important guage than the strong ties of blood . As Putnam frames it, these concepts are pretty clearly dependent on each other, and represent almost a circular form of reasoning. No civil society can function without a large store of social capital, and a functioning civil society is a primary guage of that store of social capital. Putnam discusses both concepts in a number of books, but we could simplify this by noting that Making Democracy Work (1993) is more about civil society, while Bowling Alone (2000) is more about social capital. In the balance of this paper, I will work primarily with Making Democracy Work because its central argument is more historical and the history is rooted in the Italian Renaissance. It also brings into sharper focus both the problematic and suggestive elements of his analysis. Putnam chose an Italian setting because of the constitutional changes in 1970 by which Italy redrew its political map and reallocated political powers. Fifteen new regional governments emerged, joining 5 special regional governments that had been created earlier for distinct (and potentially separatist) border regions. Beyond boundaries, there was a redistribution of political powers. New regions gained responsibility for wide and growing range of services: urban affairs, health, housing, agriculture, public works, economic development, vocational education. The central questions for Putnam as a young social scientist were: What are the conditions for creating strong, responsive, effective representative institutions? What creates successful societies? He decided to measure and track the success of all 20 regions, with a sharper focus on six, over an extended period of two decades from 1970-1989. He relied on a team of Italian co-researchers, among whom his chief collaborators were Robert Leonardi and Raffaella Y. Nanetti. The method chosen emphasized empirical research with a combination of both attitudinal surveys and statistical measures. There were 4 sets of personal interviews with councilors & 3 with regional leaders, 6 nationwide surveys, detailed statistical measures of performance (economic, demographic, educational), experiments in government responsiveness (where identical questions for help were sent to regional governments and the timing and effectiveness of their response was compared), and extensive studies of institutional politics, regional planning, and legislative records . Putnam’s evocation of the medieval and renaissance commune has not been well received among American historians of the period. Two leading American Renaissance scholars, Gene Brucker and Edward Muir, were among those who contributed to an assessment of ‘the Putnam thesis’ that was published first in two volumes of the Journal of Interdisciplinary History, and subsequently as R. I. Rotberg, Patterns of Social Capital: Stability and Change in Historical Perspective (Cambridge, 2001). The journal and volume also brought together critiques by historians of modern Europe, America, and Asia, and while many of the other historians were frequently – if not entirely – appreciative, but Brucker and Muir were more dismissive. Gene Brucker, a scholar whose studies of medieval and renaissance Florence have generated numerous publications, was the most critical . He argued that Putnam had underestimated Renaissance factionalism and overestimated co-operation. Florence was a deeply divided and distrustful society. Its political system aimed to control factionalism, but was spectacularly unsuccessful. Whatever social capital may have been saved by industrious Florentines up to the fifteenth century was confiscated by the Medici after they gained power from the 1430s-1490s, and then regained it in the 1510s, and again in the 1530s when they finally became Dukes of Florence. The Medici in fact confiscated pretty much anything they could get their hands on, and destroyed Florentine civil society as they built Tuscany into one of the most successful absolutist states in early modern Europe. In Bruker’s assessment, there was in early modern Tuscany no investment in social capital, and no return in civil society; what civil society Italy possesses now was generated in the nineteenth century. Edward Muir, a historian of Venice and the Veneto, was less dismissive of Putnam, but did find him to be an Amero-centric Romantic Whig (there reference here being to Herbert Butterfield’s The Whig Interpretation of History ) of the kind who is only interested in other cultures or histories if they can be seen to be leading towards that great beacon of liberty, toleration, and prosperity that is the modern American Republic . This, of course, imposes a selective vision and profoundly warps observation and interpretation of the phenomena. In contrast to Brucker, Muir thought that civil society did emerge from the medieval and renaissance republics, and did weather the capital-draining early modern period of uncivil absolutism, but not by the kind of vague cultural memory of past fortune that Putnam suggested. It survived and grew, Muir believed, because Italians invested in religion, lawyers, and books of etiquette – but most of all in lawyers. According to Muir, Putnam had asked the wrong question. It was not so much “how did Italians collaborate to build civic society?”, but “how did they collaborate to reduce factional violence and curb noble powers?” To this question, Muir posited three answers: First, civic religion bolstered the power of local oligarchies of lay and common people, particularly through their confraternities and local cults. Second, lawyers oversaw the disputes by which rural Italians chipped away at the feudal rights of their nobles and gained some power and agency. Third, books of etiquette – really the rise of Manners in the ways described by Norbert Elias -- persuaded the nobles to find less socially and politically disruptive ways of conducting their disputes (eg., duels) and convinced everyone that the best way to handle a serious problem is not to talk about it publicly in the hope that it will go away. This last was perhaps the most idiosyncratic of Muir’s views, and was tied to what he saw as a continuing disinclination in Italian political life to deal with immediate problems of social justice. There is wisdom in both these critiques. Muir at least makes a greater effort to account for the phenomena that Putnam observes, rather than just deny the history that he offers, as Brucker tends to do. Yet there is a signal gap in both their analyses – and indeed in Putnam’s – that begs addressing. As we saw, Putnam’s analysis works with the 20 regions that currently comprise the Italian state. His extensive interviews, analyses of economic and sociological data are distilled into a series of tables, scattergrams, and graphs. In all them, one region of the 20 consistently comes out on or near the top. It is not Becker’s Tuscany or Muir’s Veneto, but Emilia Romagna. A close second is Umbria. In Putnam’s empirical and attitudinal studies, Emilia Romagna and Umbria rank top in Institutional Performance, in Economic Modernity, in Voter Turnout, in Civic Community, in citizen satisfaction, and a host of other measures. Their top-ranking performance, if not absolute, is nonetheless quite consistent. What strikes us immediately is that these two regions and their main cities of Bologna and Perugia respectively share a history that diverges considerably both from Putnam’s idealized model and also from Becker’s and Muir’s critiques. Bologna and Perugia did have a history of medieval communal government, but both were also technically parts of the Papal State, which was hardly a model of secular civil society. To survey very briefly, in the fourteenth century both experienced a series of political upheavals culminating in the rise of local tyrants. In the fifteenth, power was held in both by small oligarchies that engaged in bloody factional battles; the Papal State was sidelined, and both cities became virtually independent of it. In the sixteenth century the tables turned, as Julius II effected the restoration of direct and effective Papal Rule. He neutralized Perugia’s tyrants of the Baglioni family and scared Bologna’s Bentivoglio tyrants out of town. This brief historical overview highlights an odd disjunction in the historical component of what is frequently described as the Putnam Debate: that is, the debate is never truly focused on what it is ostensibly about. It is a means of addressing other questions by proxy. As I noted earlier, despite the Italian example, what Putnam is ultimately addressing in Making Democracy Work, is the fate and potential of American society and of its globalizing evangelical mission. And indeed, most of the debate, particularly after his follow-up book, Bowling Alone, focused obsessively on America. So in this instance, Italy is a proxy for America (something that Muir names directly in his critique). Second, despite Putnam’s conclusion that the societies of the former Papal State are the most successful in modern Italy, the debates by English speaking historians (who have been, it must be admitted, the only ones truly interested in it) have almost uniformly ignored this awkward fact, and have spoken almost exclusively about the societies and legacies of Florence and to a lesser extent Venice. As a result, the so-called ‘Putnam debate’ has been characterized by an odd dovetailing of Florentine and American exceptionalism which, like all exceptionalisms, misses the point and creates a slightly surreal discussion, particularly for those who are neither Americans nor Florentinists. Hence the balance of my paper will engage in what we might term a friendly experiment. Let us leave aside for the moment our critiques of Putnam’s history and methodology and concede for sake of argument that he may have a point in his assertion that medieval and renaissance roots shape modern civil society. Let us then follow that assertion more consistently by reconsidering the historical part of the argument. We can leave aside Florence and Venice (and in the interests of space, we will also leave aside Umbria), and consider instead what aspects of Emilia Romagna’s particular history may have shaped its modern success and, by extension, the success of modern Italian society. What follows is more a suggestive than a sustained analysis, and will focus on Bologna as a kind of counter – vailing exceptionalism of my own. As you will see, it relies very heavily on the work of Bolognese and Italian scholars. I have focused on three factors as the most critical – politics, economics, and religion – and would argue that what is most critical is an oppositional dynamic of negotiation between what we could describe (adapting Putnam) as civil and uncivil society. Certainly there are elements of civil society rooted in the medieval commune, but it is partly in the adaptation and resistance to the uncivil society represented by the Papal State, that Bologna develops its characteristic political sociology. We can begin with the local oligarchy because it takes an odd (and almost paradoxical) intermediary position as the defender of the former and the agent of the latter. The Papal State was described by Paolo Prodi as the model Absolutist State, governed as it was by a ruler who was at once the spiritual and the secular head, having no representative bodies, possessing perhaps the most advanced diplomatic corps of the period, and backed up with an army. 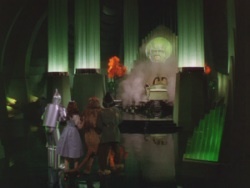 We know now that early modern absolutism always had a fanciful quality perhaps best exemplified (if we continue with American cultural references) by the old film, The Wizard of Oz: impressive smoke and mirrors in the throne room, but lots of frantic pulling of levers and negotiation behind the curtains. I would argue that in Bologna this provisional character was even greater. This character as a ‘Republic by Contract” is the key to a dynamic between civil and uncivil society that develops in Bologna through this period. It creates the political conditions for a negotiated absolutism and a political dynamic characterized by an aggressive localism and a high level of uncertainty . Locally, the oligarchy is large but has only delegated authority; it’s always a bit uncertain, and is continually negotiated at the individual, the familial, and the civic level. Centrally, popes change frequently, and their legates change even more frequently, so there is very little opportunity to create an effective dynasty. The local political oligarchy that developed early in the ancien regime had to negotiate two ways: with the pope on one side, and with the citizens on the other. Following Putnam, what we can describe as their social capital was maximized by keeping as many of the informal forms, institutions, and networks of civil society functioning as possible, and by ensuring that what benefits there were to their own governance were: 1. kept within the community but 2. shared broadly within that community. This awareness shaped their efforts at institutional consolidation. These efforts drew on concrete historical lessons, and particularly the failed efforts of the Bentivoglio through the fifteenth century to turn the city into a signory with themselves as the dynastic rulers. While Julius II evicted the Bentivoglio in 1506 and again in 1512, they remained a threat. They launched formal efforts after Leo’s death in 1522, and again during the Sack of Rome in 1527, but were repulsed both times. Their spectre took decades to dissipate: as Julius III lay dying in March 1555, the chief subject in letters between the Papal governor and Rome was the fear that the Bentivoglio would attempt a restoration with French help during the upheaval of the Sede Vacante . The local patricians were not the only ones learning from earlier failed lessons. Beginning more with Leo than with Julius, popes soon realized that they could only rule Bologna if they accommodated its local elites – past experience taught them that the attempt to rule directly would galvanize opposition and result in revolution. These local elites in their turn realized that they needed to work together in order to protect local authority, and to keep one of their own number from dominating all the others as the Bentivoglio had in the fifteenth century. After 1513, we have the emergence of the ‘governo misto’ under which a local Senate ruled co-operatively with a Papal Governor or Legate, each, in rough terms, approving the other’s actions (though the Governor/Legate held greater abstract power, the Senate exercised greater practical power). At forty seats, the Senate was twice the size of the executive body which had emerged in the late 14th century and had come to dominate government through the 15th , the Riformatori or Reggimento (though it initially uses that same name). Critically here, it was large enough to encompass the whole governing oligarchy which, at least initially, resisted papal efforts to give the Bentivoglio a seat. Under Gregory XIII, it looked as though factionalism would re-emerge around the Pepoli and Malvezzi as older families were marginalized. Sixtus V restored equilibrium in 1590 by increasing the Senate to 50 seats, largely by increasing number of seats for older lineages. Over the roughly 300 years from Julius to Napoleon, these families intermarried, creating a Senatorial oligarchy that was stable, albeit increasingly rigid. When a Senate seat fell vacant, the Senate sent 3 nominations to the Pope, who picked the replacement. From 1513 through 1605, 13 popes made 248 appointments from 72 families. While the patriciate was consolidating its hold on the Senate, it was also consolidating the Senate’s hold on the city, both through the refinement of its own organs of administration, and through the usurping of older bodies which could compete for authority. In the 1550s, the Senate appointed 8 congregations (Assunterie) to handle local administration. Regular rotating memberships ensured power sharing, although the apparent lack of membership lists means we have difficulty tracking this. While the Senate’s administrative organs were expanding, older bodies were contracting. These were gradually stripped of real power, though they were often retained as both a form of political apprenticeship (essentially a lower rung on the cursus honorum) and also as a consolation prize for those not in the Senate. Angela de Benedictis has edited a volume on one of these, the Tribuni della plebe. Another body more deeply rooted in the medieval commune, when it had real power, was the Anziani. In the Trecento, the 9 member Anziani (2 members per quarter + the gonfaloniere) had enjoyed considerable power as the centre of local government. Rotating its members every 2 months, the Anziani demonstrated the suspicion and power-sharing characteristic of the medieval commune and its administrative organs. Yet some believe that this brought instability, and the Anziani’s powers were effectively curbed with the emergence of the Riformatori in 1394 and then the Senate. In the 16th century members were appointed directly by the Senate in a process of nomination, scrutiny, and extraction, but in the 17th century this is taken over by the Assunteria di Magistrati. Yet by that point, its purpose had changed. The Anziani remained active for decades, and in the 1540s and 1550s they and other traditional magistracies began taking the lead in expanding social charity. The Anziani attempted a census of the poor and expulsion of ‘foreign’ indigent in 1544, they began consolidating poor relief in the Ospedale di S. Gregorio in 1550s, and they organized systematic almsgiving in the famines of the early 1550s and early 1560s. The Anziani’s real work seemed to decline soon after the Bolognese Ugo Buoncompagni became Pope Gregory XIII in 1572. The contrast is quite literally graphic. From that point, notes of their decisions drop from their elaborate illuminated record, the Insignia, to be replaced with paintings of members’ coats of arms and of major events that happened in Bologna in their term. Their discussions have increasingly to do with disputes of precedence vis à vis other bodies in Bologna. From the 1580s and 90s we find nothing on arranging food for paupers but much relating to the trumpeters who attend their public processions. This becomes the pattern moving forward through the 17th and 18th centuries. While real power evaporates, the Anziani remain a locally-significant marker of prestige in the local court society. Hence, looking at local government, marriage politics, and economics, we see the coalescence of a strong oligarchy which manoevered to keep power and resources within the local community. Yet what about the broader distribution of benefits to members of that community? This brings us to a consideration of charity and social welfare in Bologna. Whereas Florence's Monte delle Dote was a public enterprise, run by its oligarchy and offering an attractive investment to wealthy families, Bologna's Monte was privately operated by the investors themselves, and attracted mostly small deposits. Families of modest and moderate means accounted for about 1/3rd of all deposits. The remaining 2/3rds were employers, private benefactors, and institutions that offered dowries to servants, or to needy girls out of charity. Beyond the scope and level of benefits, what was significant about Bologna’s system of civic charity was how it balanced broad administration with close ties to the civic government to create an interconnected network that focused deliberately on the urban population. All of the charitable institutions were run by large confraternities or companies who cycled scores of volunteers through administrative positions for limited terms. Moreover, some of the key charitable institutions deliberately aimed to recruit their boards across representative categories, ensuring that these include nobles, gentlemen, merchants, and superior artisans. The senatorial oligarchy promoted this. It kept its finger on charitable institutions in a period of reforms of the 1550s, when most of the key institutions wrote or rewrote their statutes along a roughly uniform model that other charitable institutions subsequently adopted in the decades that follow. A key feature in the new statutes is that these charitable confraternities all chose their governing Rector from the Senate. There emerged a core of Senators who rotated from one institution to another, giving it an informal co-ordination. This was precisely the period when the Senate was establishing its assunterie to expand its administrative capacities, and when it was bleeding power from the Anziani. At the same time, the Monte della Pietà became the financial administrator of a number of the key charitable institutions. Moving from charity to employment, we find that Bologna’s guilds retained more authority in regulating professional behaviour and directing the local economy. An earlier economic historiography saw guilds as brakes on early modern economy, but this is being revised by the current generation of Italian economic historians. Alberto Guenzi finds that guilds certainly defend their interests, but also often push innovation in methods and production techniques. Raffaella Sarti has shown that the guild model was so strong locally that it moved beyond productive industries into the service sector: in the 17th century, servants formed a guild to defend their interests, and managed to keep it operative into the 18th century. This suggests that the model of collective organization and a regulated economy was still compelling locally. I have suggested that a certain dynamic tension was characteristic of Bologna, and nowhere do we find this more clearly than in the area of religious life, where there were ongoing tensions between laity and clergy. There is certainly a convergence of interests in the elite, as Prodi has very effectively shown, but as one example, clergy were more effectively kept out of administration of welfare institutions here than elsewhere. The Monte del Matrimonio, for example, fought repeatedly and successfully into the eighteenth century to keep out of archbishop’s oversight – arguing that it was not a so-called ‘luogho pio’/pious work (which would open it to visitations and episcopal supervision), but a secular service. Similarly, civic religion retained its strong lay orientation. Local confraternities controlled many local shrines and processions, and here too we find lay/clerical fights over control of images and processions. The Madonna di San Luca, Bologna’s key civic shrine and procession, provides one telling example, as it was controlled through our period by the Confraternity of S. Maria della Morte in spite of efforts by the Cathedral Canons to take it over. As Prodi has shown, Bologna had one of the leading bishops of Catholic Reform in Gabriele Paleotti, but he found that his efforts to curb and control local religion were often stymied by papal officials who did not want to offend the local oligarchs. I cannot pose as a modern historian or social commentator, but in these social, economic and religious contexts, I find it telling that in the 19th and 20th centuries, Bologna and Emilia Romagna emerged as the centres of the Italian co-operative movement, and as strongholds of the Italian communist party, particularly at municipal level. Closer to the present, can we find a continuation of the anti-clericalism that was a characteristic of Bologna’s medieval and renaissance civic religion in the 2005 referendum on the proposed changes to laws governing reproductive technologies and possible use of fetal tissue in medical research? Whereas the Catholic Church aimed to undermine the referendum by counselling voters to stay away from the polls in order to render the whole result void, the city with the highest turn out in all of Italy was Bologna. This is the historical and social setting for the region that Robert Putnam’s own analysis shows to be the most effective in Italy. It latches on to democracy, and makes democracy work on its own terms. It is important to recognize that its civil society emerges in a framework that is quite distinct from the liberal capitalism that undergirds American democracy. Bologna embraces both democracy and capitalism, but does not idealize the American model – it holds up as its model socialist, co-operativist, and communist polities. 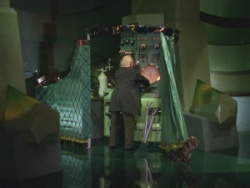 We can pull back now and consider the success of our experiment in testing the Putnam thesis. At a certain level, Bologna’s history supports Putnam’s thesis about the medieval and renaissance roots of effective modern government in Italy, although there remains the problem of continuity. Many of the elements that I’ve mentioned here don’t survive the 18th century. Yet we can nonetheless single out at least 4 related characteristics that define Bologna’s civil society in the Renaissance and Early modern period, and carry on into the modern period. 1. Importance of an oppositional dynamic – local vs. central, lay vs. clerical, ultimately civil vs. uncivil – that is brokered by an oligarchy with great, though only delegated power. This oligarchy alternately opposes and co-operates with the sovereign overlords in the Papal State and is to some extent must curry local favour to continue in power. I think that this is the key characteristic, and the one that helps explain how civil society survives absolutism in Bologna whereas it declines in sovereign states like Grand Ducal Florence and Venice. 2. Importance of this local oligarchy steering social and economic benefits to the locality & to citizens; its own self-interest lies in maintaining its base. 3. A co-operativist and regulated economy as one of the key means of sharing benefits. 4. Organized care for local poor and working poor that engages the local government but that is channelled primarily through semi-independent bodies like confraternities or guilds that have an active membership, a rotating administration drawn from and responsible to the membership, and a degree of ideological/religious motivation and legitimation. These characteristics do, to some extent, validate Putnam’s thesis that medieval and renaissance models of civil society generate the social capital that in turn creates a ‘successful’ society. Yet even in its ‘success’, Bologna shows further problems with Putnam’s model as these are rooted in American exceptionalism. Some features of Emilia Romagnan history match Putnam’s over all analysis, but never without qualification. Putnam makes a modern socialist reality fit into an idealized American model, without adequately recognizing that it marches to the beat of a very different political drum. In particular, it is the dynamic between civil and uncivil society that seems to maintain it, and liberal democratic capitalism is a possible but not a necessary context. In fact, Bolognan society rejected both the individualism and the laissez-faire capitalism that Putnam takes to be the necessary ideological and economic supports of civil society. This was a society whose elites and citizens cohered and maintained medieval forms in order to defend against an outside overlord. The paradox then is that it was precisely Bologna’s subordinate political status as a Republic by Contract that preserved the structures and involvement of civil society, while its more co-operativist orientation gave it a successful and adaptable economy. The further paradox then is that what really made Democracy Work in Italy was not some Renaissance Italian foreshadowing of American liberal capitalism, but the communitarian ethos, regulated economy, and oppositional dynamic that came to fuller expression in Italian communism. Our ‘friendly experiment’ has shifted Putnam’s analysis of historical causes away from Florence and Venice so that it better reflects the results of his empirical studies showing that Emilia Romagna is the region of Italy that has the highest stock of social capital and the most effectively functioning civil society. But this exercise highlights deeper problems in Putnam’s analysis that are not so easily remedied. His historical error was not co-incidental, but connects directly to the purpose of the study, to the dovetailing of American and Florentinist exceptionalism that I referred to earlier, and to the deeper cultural project to which Anthony Molho alluded in an insightful essay entitled, “The Italian Renaissance: Made in America”. The very title of the second book, Bowling Alone, creates a chill in Americans, and when Putnam subtitled it, America’s Declining Social Capital, he named that fear that Americans have, and feeds into a cultural pessimism about ‘the world we have lost’. But this cultural pessimism – how far we have fallen from our past health and glory – almost always is rooted in romantic, nostalgic, and fundamentally self-deceptive views of the past. Americans are in the grip of a dream that runs counter both to their own history and to their own practice. Whatever their abstract analysis, Putnam and many of his American critics and commentators share implicitly a particular model of what a healthy, functioning society looks like. It’s a largely romanticized model based on the ideals in their own civil religion, and their curiously exceptionalist self-image of being a beacon of freedom and democracy that can offer lessons but never needs to take them. It is reinforced by their embrace of the French commentator Alexis de Tocqueville, who described a society of individualists who reflexively gathered in small groups and practiced an egalitarian politics. The Bologna example suggests that this model is not necessary; there are other routes to civil society. But beyond that, is it realistic? Certainly American politics both in the Tocquevillian period and also in the 1950s, which Putnam identifies as the time when civil society and social capital began to decline, fell far short of the healthy and egalitarian image. They were highly racist, sexist, and deeply class-ridden; real political power was exercised by party machines. Of course, all western societies were like this to some extent. What is troubling about Putnam’s analysis is that he does not explore the implications of his next analytical step. That is, the period when he describes civil society and social capital as starting to decline seriously – the 1960s and 1970s – is precisely the period when America started to come to terms with its institutional racism, sexism, and brokered political oligarchy, and when it started to deliberately break these down with legislation, court actions, and progressive social policies. The result was a more open and just society. This is the type of paradox that an analysis based on nostalgia for a lost golden world seldom recognizes. Take this a step further. Putnam does not come to terms with the fact that many of the voluntary institutions of civil society that he lauds acted in the first instance to meet very practical needs. People did not join them simply for sociability, but also to meet their needs for shelter, for insurance, for health, for job protection, or for advancement. The socialization offered through groups like bowling clubs was a partial motivation; a far bigger element was practical need, both individually and socially. The rise of the welfare state in the 1960s and 1970s met many of these same needs. It offered these kinds of protections and benefits more broadly as a right to citizens. This marked substantial progress in social justice. The voluntary institutions of civil society had been based largely in the middle class, and benefited largely the middle class. The programs of the welfare state benefited a much broader social range, particularly those marginal groups left behind by the older voluntary institutions of civil society. Moreover, it benefited them more comprehensively, and it gave benefits as a right rather than as a gift. So as we unpack Putnam’s combination of romantic nostalgia and cultural pessimism, we’re left with an implicit central paradox that he never addresses: civil society seems to decline as social justice expands. More troublingly, we increasingly see that this paradox is not just an intellectual abstraction. In various countries since the 1980s, conservative governments have sought to reverse the equation. If civil society declined as social justice expanded through the 60’s and 70’s, these governments are aiming to expand civil society in part to facilitate and justify their dismantling of the welfare state: cutting benefits and legal protections, privatizing social programs, and employing voluntary bodies to meet social needs. The evocation by academics and politicians of a lost golden age of civil society, then, becomes more than just nostalgia, but part of a decidedly regressive political movement. This is certainly an issue in political debates in America and the European Community, and also in countries beyond such as Canada and Australia. It cautions us to be wary when politicians and social commentators wax nostalgic about a lost age of civil society, or a spent store of social capital. And it compels us to explore more comparatively the genesis, the definitions, the adaptations, and the socio-political frameworks of social capital and civil society. Relazione svolta al Meeting della Renaissance Society of America (San Francisco, 23-25 marzo 2006) nell’ambito del Panel Social Capital and Civil Society in Italy and the Netherlands IV: Political Order and the Varieties of Social Capital. R. Putnam, Making Democracy Work: Civic Traditions in Modern Italy, Princeton, Princeton University Press, 1993, 167. Putnam, Making Democracy Work, cit., 163-186. Putnam, Making Democracy Work, cit., 63-83, 187-204. Putnam, Making Democracy Work, cit., 83-120. Putnam, Making Democracy Work, cit., 185. G. Brucker, Civic Traditions in Premodern Italy, in: R.I. Rotberg, Patterns of Social Capital, Cambridge, Cambridge University Press, 2001, 19-39. E. Muir, The Sources of Civil Society in Italy, in Rotberg, Patterns of Social Capital, cit., 41-67. See, for example, S.L. McLean, et al. (eds. ), Social Capital: Critical Perspectives on Community and ‘Bowling Alone’, New York, New York University Press, 2002. P. Prodi, Il sovrano pontifice: un corpo e due anime, Bologna, il Mulino, 1982. A. De Benedictis, Repubblica per contratto. Bologna: una città europea nello Stato della Chiesa, Bologna, il Mulino, 1995. ASB Ambasciata Bolognese a Roma, Repertorio e Registri Diversi, regg. 4, “Compendio di Affari Trattati in Roma dall’Ambasceria di Bologna”; regg. 5, “Rubricella delli Tomi Primo, e Secondo del Compendio d’Affari trattati in Roma dall’Ambascieria di Bologna; dall’anno 1569 fino al 1650”. For the local sensibility: A. De Benedictis, Una Guerra d’Italia, una resistenza di popolo, Bologna, il Mulino, 2004. See the letters from the Vice Legate Girolamo Sauli to the Legate, Cardinal Innocenzo del Monte: Archivio Segreto del Vaticano, Segreteria dello Stato, Legazione di Bologna, ms. 1A, fol. 290, 306, 309, 316, 318, 324, 326. Mauro Carboni, La formazione di una elite di governo: le alleanze matrimoniali dei senatori bolognesi (1506-1796), « Studi storici Luigi Simeoni», 52 (2002), 9-46. C. Murphy, ‘In praise of the ladies of Bologna’: the image and identity of the sixteenth century Bolognee female patriciate, «Renaissance Studies», 13 (1999), 440-454. For letters of the 16th century: ASV, Segr. Stato, Legaz. Bologna , 1°, 2-4, 177-84, 268-69. A. De Benedictis (ed. ), Diritti in memoria, carità di patria. Tribuni della plebe e governo popolare a Bologna (XIV-XVIII secolo), Bologna, CLUEB, 1999. G.N.P. Alidosi I signori Anziani consoli e Gonfalonieri di Giustizia della città di Bologna, Bologna, li Manolesi, 1670: 97, 105, 110-11, 114-117. The range of activites undertaken by the Anziani can be found in: ASB, Anziani Consoli, Insignia 1 (1530-1580): cc. 45v-48r, 51r, 87r-89r, 100v, 109r-110, 114r-115v. ASB Anziani Consoli, Insignia 1I (1580-1599): cc. 112v-115r, 170v, 188r-v. See also: ASB Anziani Consoli, Libri Rossi 1 (Provisiones et decreta, 1530-92) & 2 (1565-1598), although the records from Insignia 1 & 2 and Libri Rossi 1 & 2 do not overlap. I. Robertson, Tyranny under the Mantle of St. Peter: Pope Paul II and Bologna, Turnhout, Brepols, 2002. M. Carboni, Il debito della città Mercato del credito fisco e società a Bologna fra Cinque e Seicento, Bologna, il Mulino, 1995. M.G. Muzzarelli, Il denaro e la salvezza. L’invenzione del Monte di Pietà, Bologna, il Mulino, 2001; G. Pomata, La promessa di guarigione: Malati e curatori in antico regime, Torino, Gius Laterza, 1994; M. Fornasari, Il ‘Thesoro’ della città: Il Monte di Pietà e l’economia bolognese nei secoli XV e XVI, Bologna, il Mulino, 1993. N. Terpstra, Abandoned Children of the Italian Renaissance: Orphan Care in Florence and Bologna, Baltimore, Johns Hopkins, 2005. M. Carboni, Le doti della ‘povertà’: Famiglia, risparmio, previdenza: il Monte del Matrimonio di Bologna (1583-1796), Bologna , il Mulino, 1999. I describe this network of charity more thoroughly in Abandoned Children, Chapters 1 & 5. Terpstra, Abandoned Children, cit., 187-244, 280-88. R. Sarti, L’Università dei Servitori di Bologna, secc. XVII-XIX, in A. Guenzi et al. (eds. ), Corporazioni e Gruppi Professionali nell’Italia Moderna, Milano, FrancoAngeli, 1999, 717-754. Carboni, Doti della povertà, cit., 69-70. N. Terpstra, Lay Confraternities and Civic Religion in Renaissance Bologna, Cambridge, Cambridge University Press, 1995.